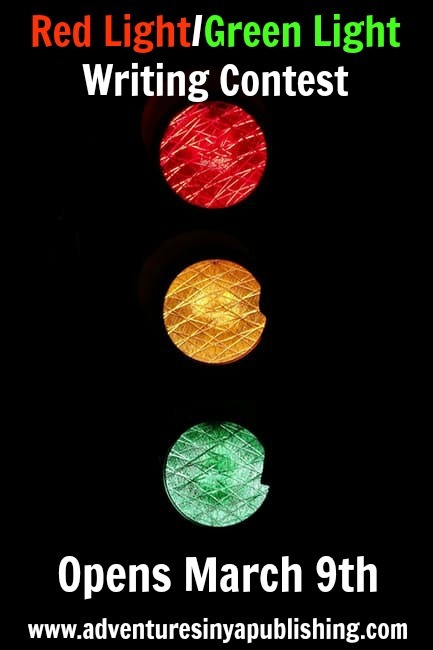 It's hard to believe, but only one week from today, we'll be opening this year's first round of Red Light/Green Light! RL/GL is a fantastic opportunity to test the waters with your opening lines, and affords entrants a chance to win a full request from our judging agent. This round, Alyssa Jennette from Stonesong Literary is judging, and if you'd like to know a little more about Alyssa, she joined us for an interview a few weeks ago which you can find here. Get those submissions in by email to ayap(at)gmail(dot)com. Submission formatting details will be posted on Thursday, March 2nd, so keep an eye on this space. The first lines of a maximum of 50 entries will be posted here to wow our readers, and for Alyssa to judge. Our judge's top 25 entries move on to round two, and are expanded to first paragraphs. The top 10 entries move on, this time showcasing 3 paragraph pitches, as would be sent out to agents in a query letter. The top 5 entries are expanded to full first pages, giving you 250 words with which to grab our judge's attention! Finally, we announce our winner, who will receive the prize of a full manuscript request from Alyssa Jennette. On March 9th, the submission window for Red Light/Green Light will open at 9am EST. We will remain open to submissions until midnight. 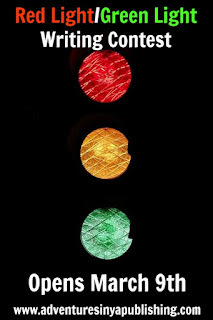 Red Light/Green Light is open to completed NA, YA, and MG manuscripts. During the submission window on March 9th, entries should be sent via email to ayaplit(at)gmail(dot)com. If you have any questions at all about Red Light/Green Light, please leave them in the comments below!